The goal for this dining room was to create a formal yet classic space to mimic the style of many original homes in the area while giving it a contemporary look. A custom cased opening highlights this beautiful space. 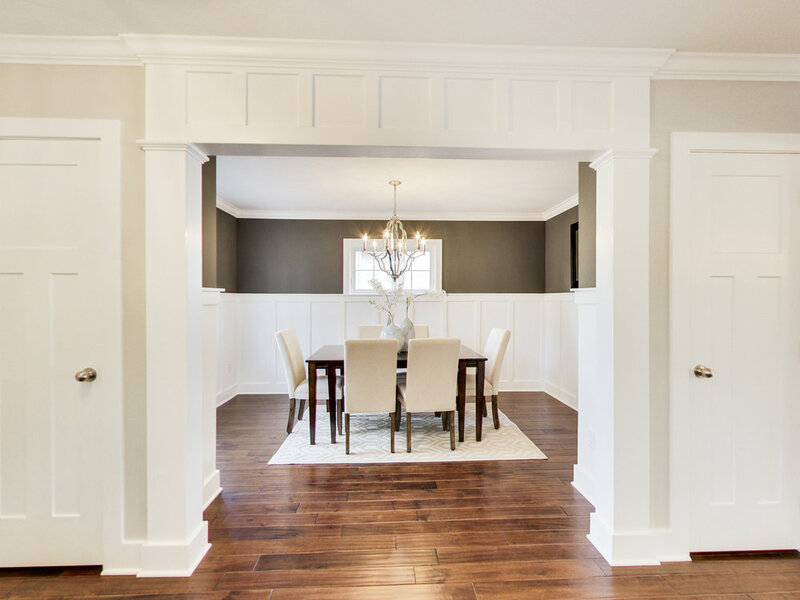 The white wainscoting and crown moulding has the perfect contrast with the dark gray paint on the walls. This antique silver chandelier is a contemporary take on a traditional design. Kendall charcoal from Benjamin Moore is a rich color that accents the crisp white wainscoting and crown.